Welcome to the STG Hall of Records. 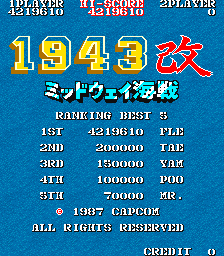 In this thread, the world records and top forum scores for every shooting game will be listed for easy reference. 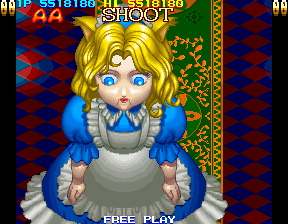 - All games are arcade shooters, so no console or PC-only games. 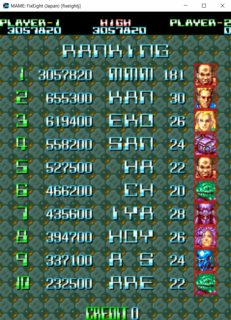 - Scores obtained on emulators or console ports are acceptable, but platform may be noted if there's enough of a difference with the PCB. *Note: possible infinite pattern in this version. 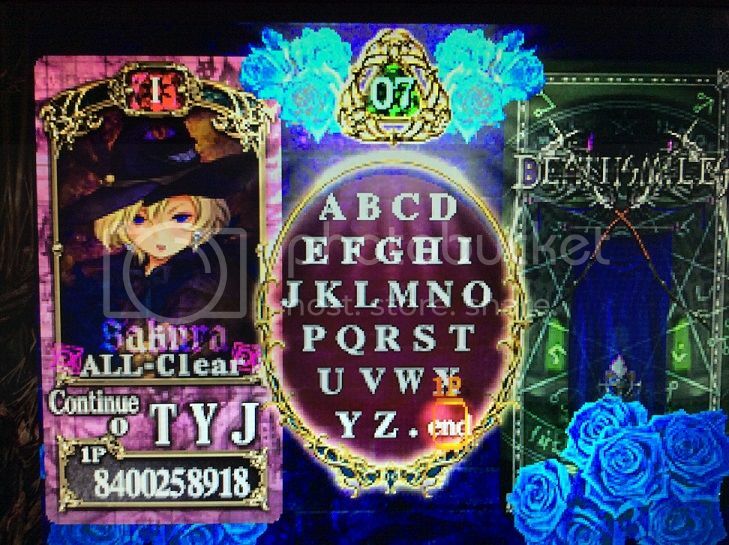 May also be present in the JPN version, but as of yet unconfirmed. 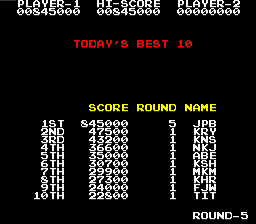 Note: an infinite pattern was discovered in this version, so as of March 2013 it's been banned from score competition in Arcadia. 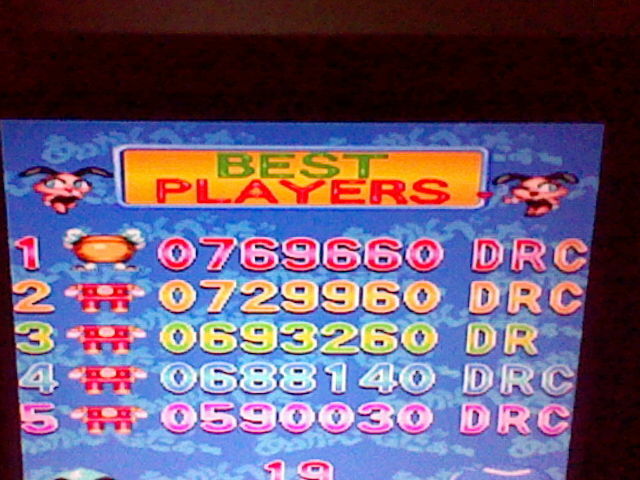 The WR here was the previous high score. *Note: possible infinite pattern. 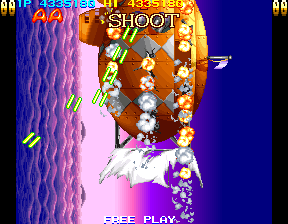 This game was banned from scoring competition in Gamest. 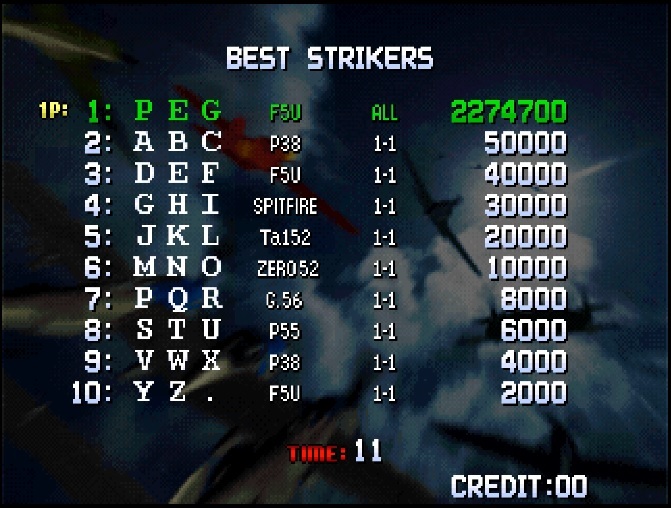 *Note: there's a trick when playing with autofire that allows you to get weapons without paying. 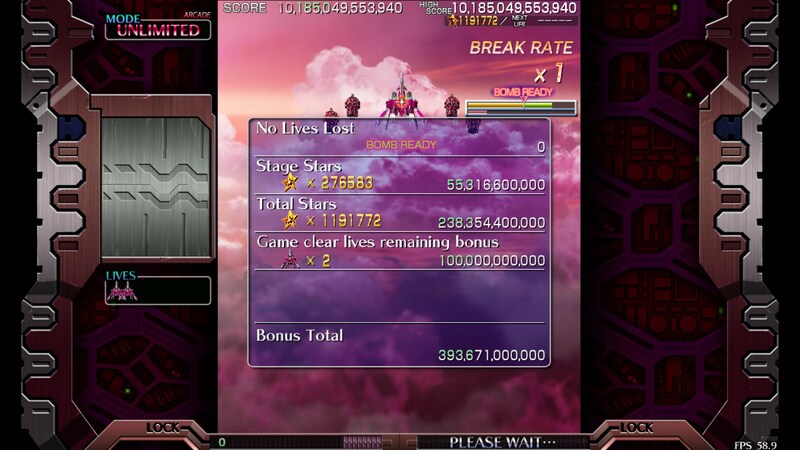 *Note: final score would have been around 103,000,000. 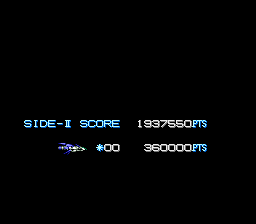 **Note: final score would have been around 100,800,000. 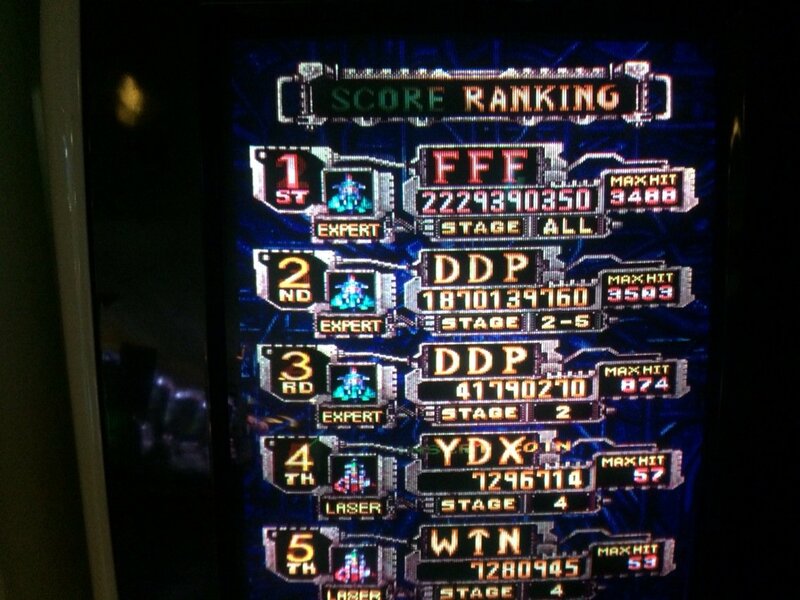 *Note: The WR as recognized by Arcadia/JHA is 247,290,850 because it's a 2-ALL. 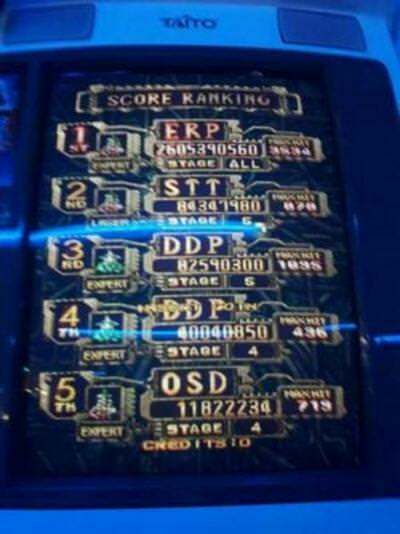 *Note: this player is notorious for cheating on some games. 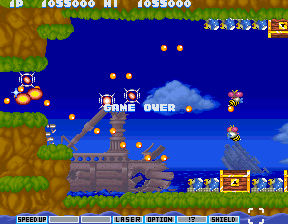 *Note: scoring banned from Gamest/Arcadia for invincibility bug, except Beginner mode. 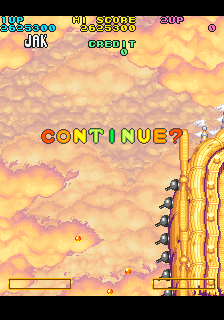 *Note: this mode has an infinite pattern. 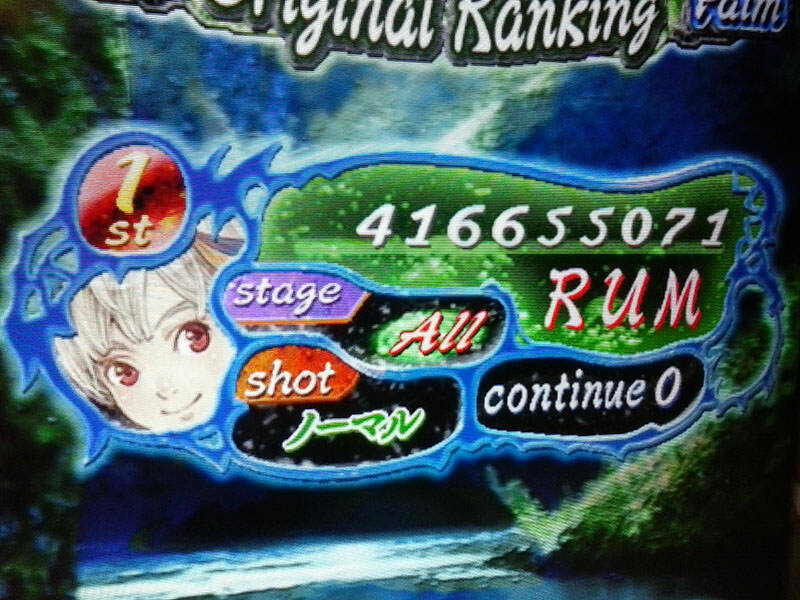 *Note: this player is known for posting bunk scores. 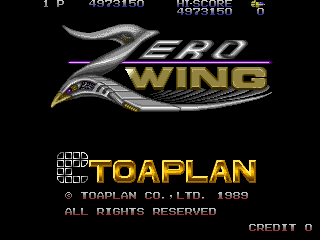 Note: this game has an infinite score pattern and is banned from scoring competition in Gamest/Arcadia. 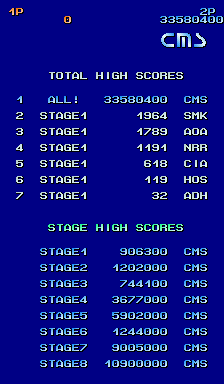 *Note: This score was achieved using a save state with a non-default stage order. 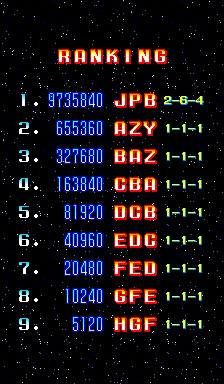 *Note: an infinite pattern was discovered in this game, but Arcadia has kept scoring submissions open. 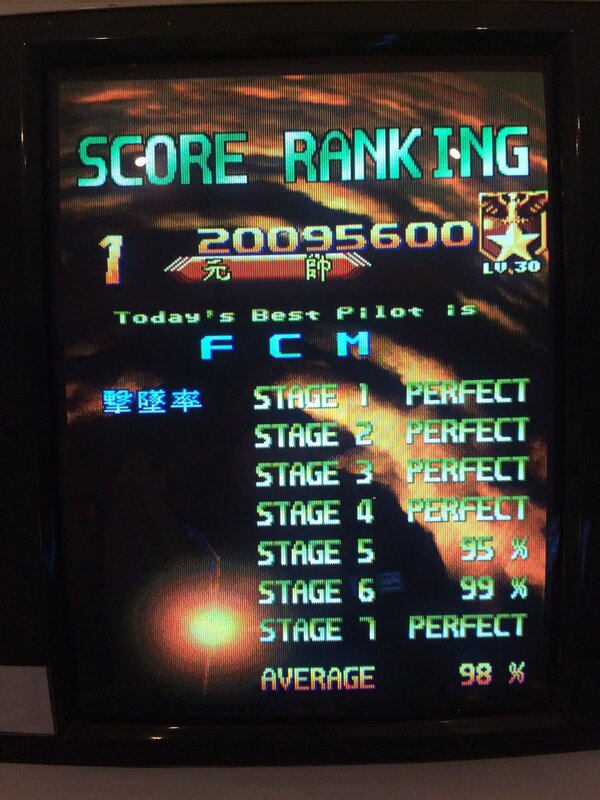 *Note: Dimahoo score. 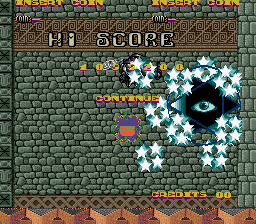 Great Mahou Daisakusen is slightly harder. 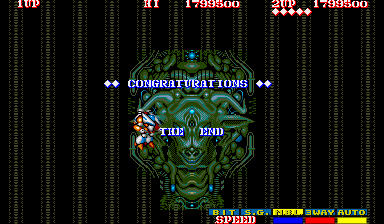 Community: shoe-sama - 13,531,010 - ALL - 138-TYPE "Strong Thunder"
*Note: this game is banned from Gamest/Arcadia for a possible infinite pattern. 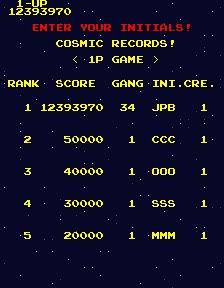 *Note: this game has an infinite score problem. *Note: second loop accessible by putting in a second credit. 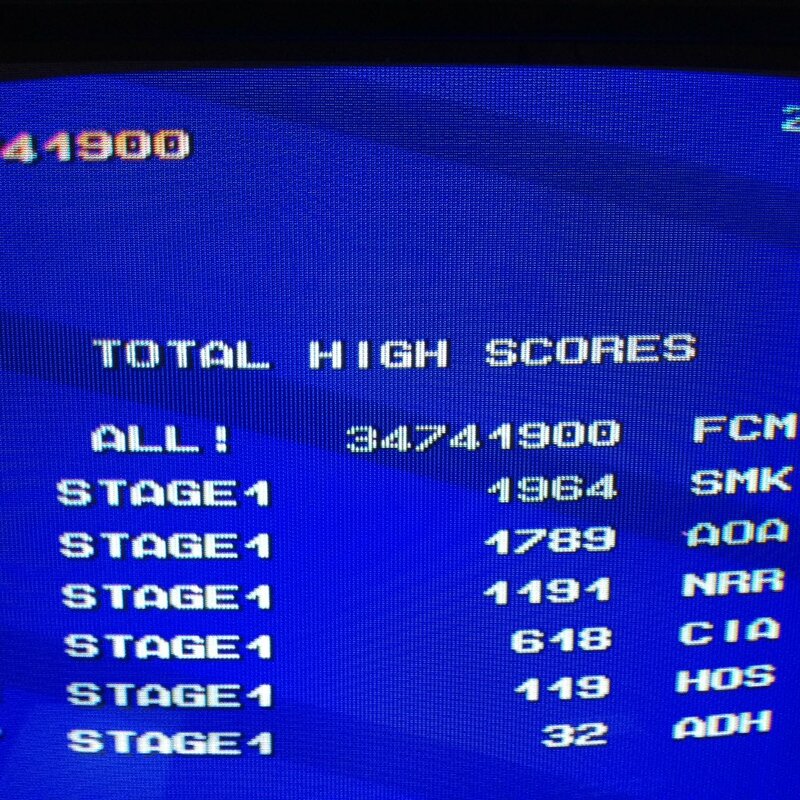 *Note: all routes except below-V have an infinite scoring problem. 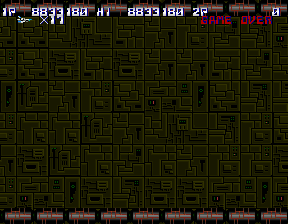 Note: there is an infinite pattern in this game, allowing for a counterstop. 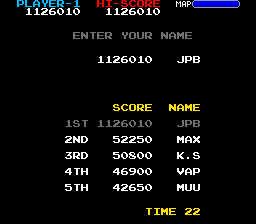 I found two scores and picked the one without the milking. Last edited by NTSC-J on Fri Apr 19, 2019 5:21 am, edited 775 times in total. Last edited by NTSC-J on Sun Apr 07, 2019 2:40 am, edited 39 times in total. 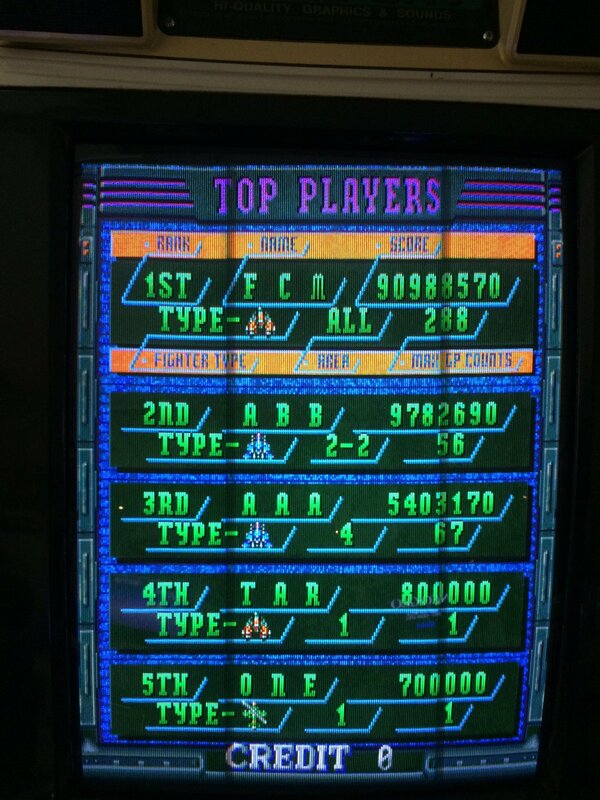 Detailed listings of everything from Arcadia and Gamest. 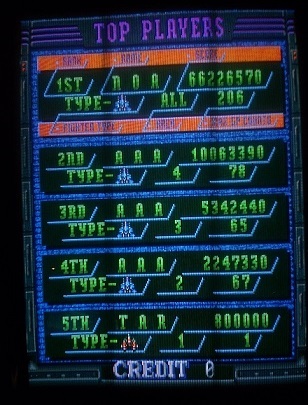 Games are listed in Japanese. 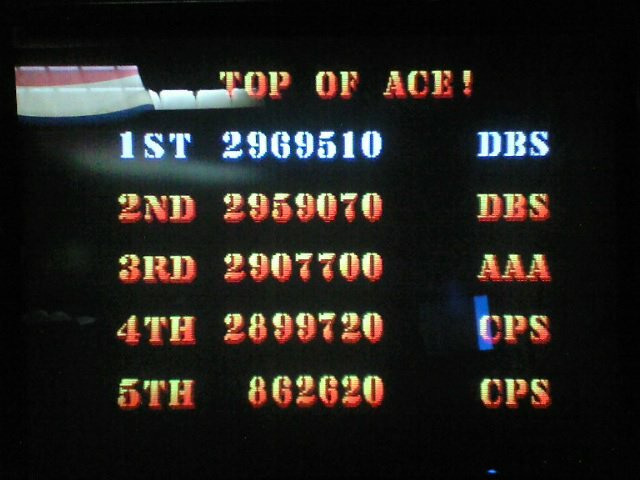 World records for many arcade titles, not just shooters. 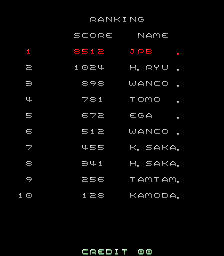 An exhaustive listing of scores from Gamest and Arcadia can be downloaded here. 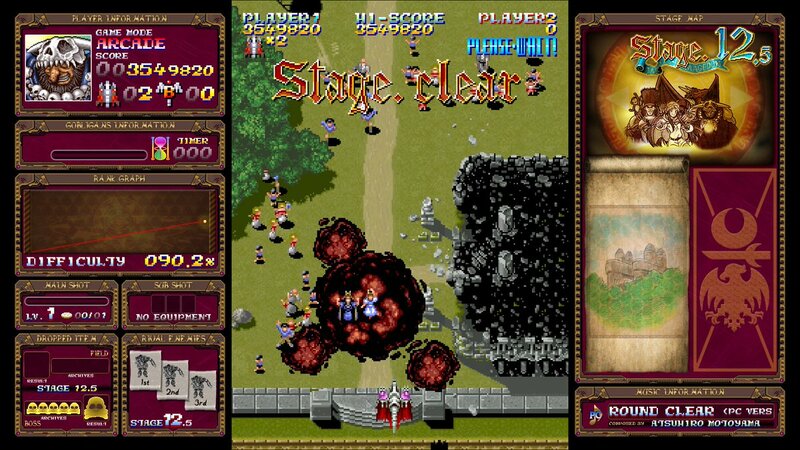 Features most arcade titles, not just shooters. In Italian. 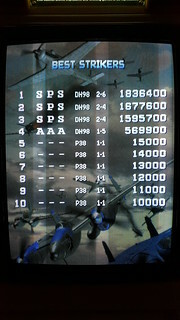 Lists more detailed world record scores for many of the top shooting games. Neat site that lists not just world records but their history over time. 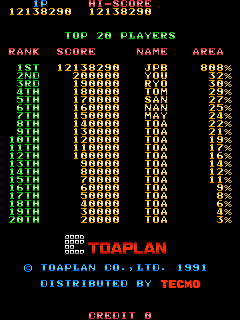 Useful to see how long it took Japanese players to achieve their scores. Unfortunately, many of the records are out of date and the site is no longer updated. 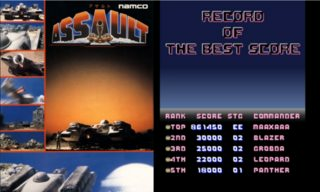 Collection of all the highest scoring replays available online. 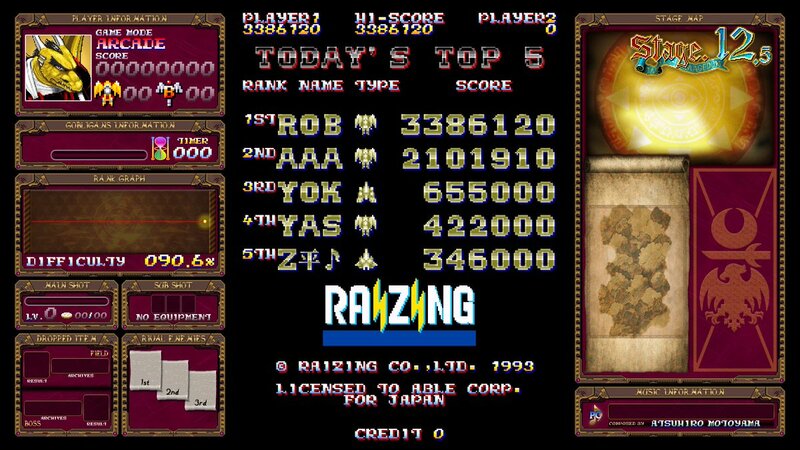 WR holders for Ketsui, DOJ, and Mushi Futari Original stream here. Watch them set new records and rejoice. Usually streams on weekends. Dozens of live streams. 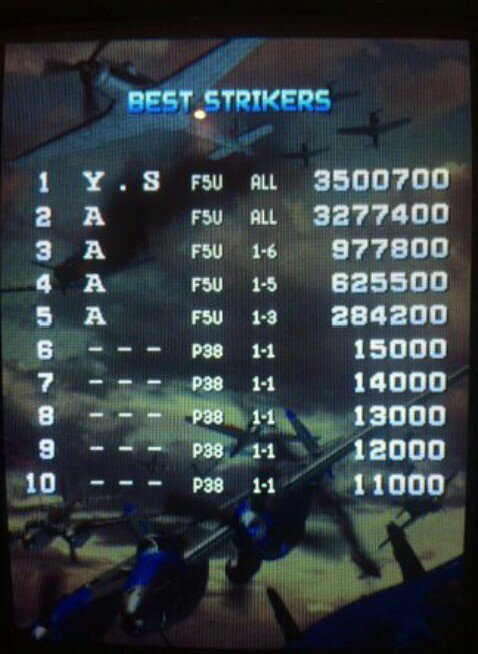 The skill levels vary from amateur to pro. 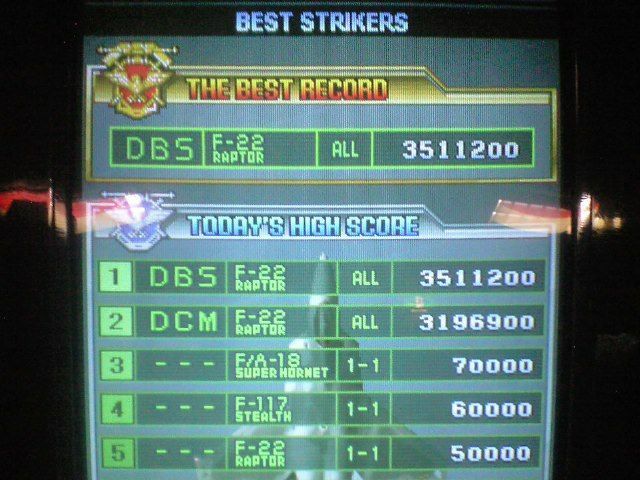 Keep an eye out for みどり, a DFK BL ace who holds the B-Bomb world record. 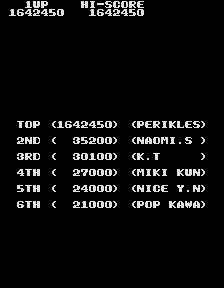 Last edited by NTSC-J on Wed Oct 03, 2018 4:22 am, edited 38 times in total. It's out of date. 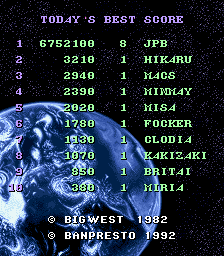 Plasmo logged a better score on the cowboy forum. 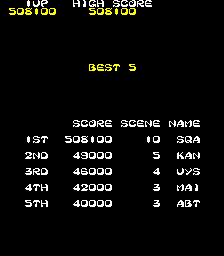 Sky Soldier japanese score is not compatible with actual west score. 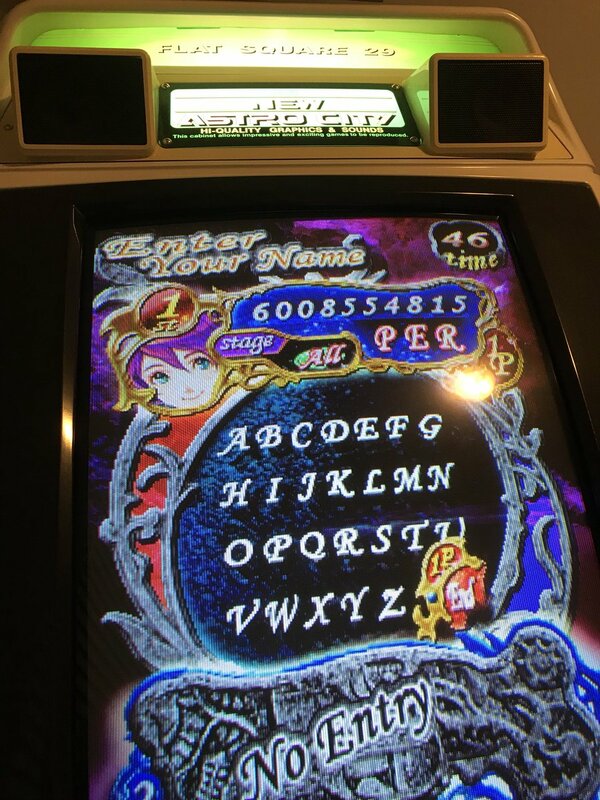 Sky Soldier mame version is USA version only. 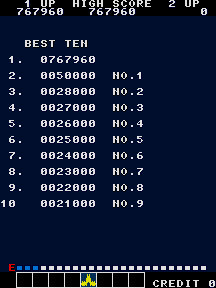 In this version infinite pattern is possible, so 10.000.000 is very easy to made. 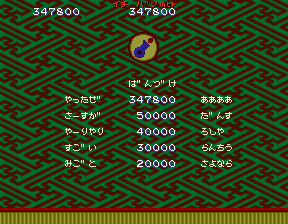 Japanese version not have infinite pattern. Last edited by Gemant on Thu Sep 29, 2011 6:46 pm, edited 1 time in total. 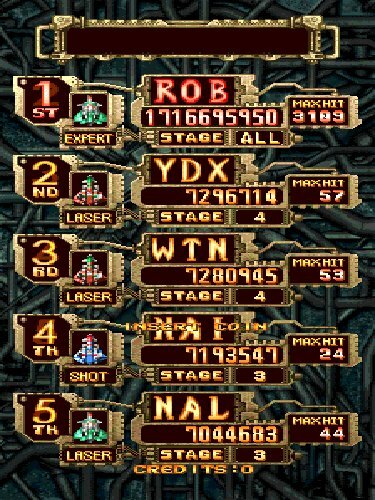 Official score in Japan is only 10.000.000+a (because all infinite loops game have a 10.000.000 pts like official limit to appear in Gamest / Arcadia magazine). 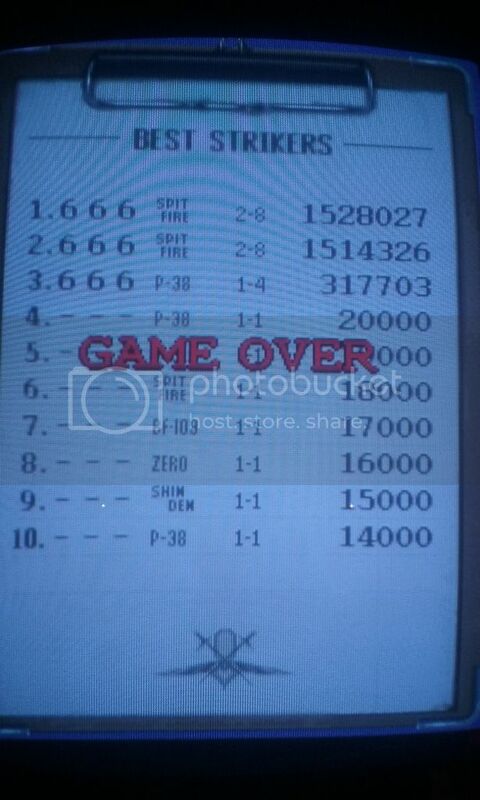 DBS score is correct but in past some players have obtained 100.000.000 counter stop. The same for same same same and Ishou Zame. 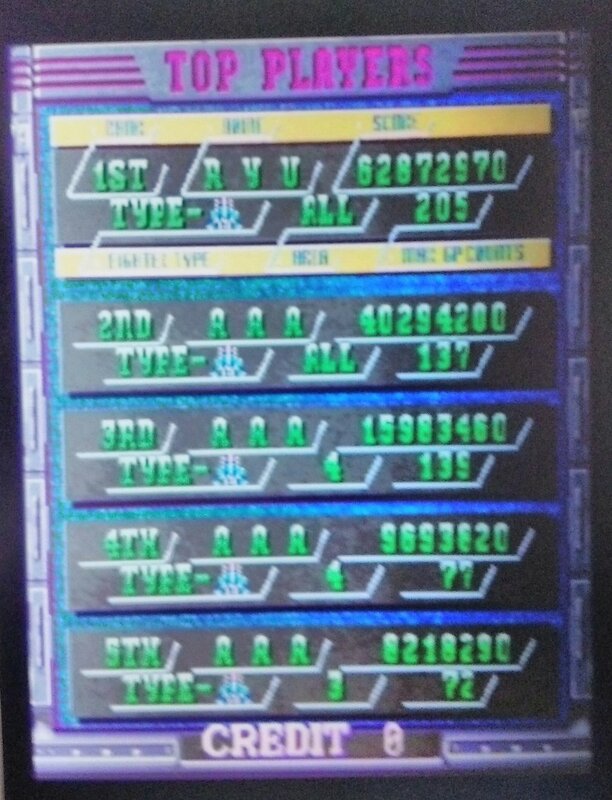 Is the record for Darius really that high? I thought it only went up to 7 millions? 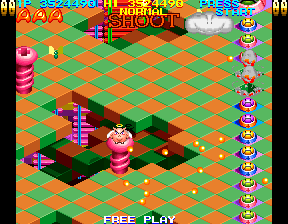 Mambu is not a character for this score but a secret Boss (random appearance) in the game. Correct character is Rafale. 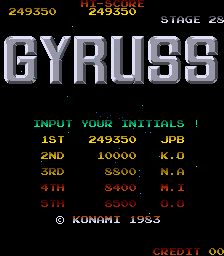 Ordyne score is incorrect, because score (points) is banned. Only crystal remaining are correct. Adding doujins, as well as arrange modes, would be nice indeed. 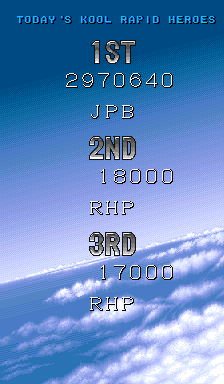 For doujins, I'd say take the most competed for now. 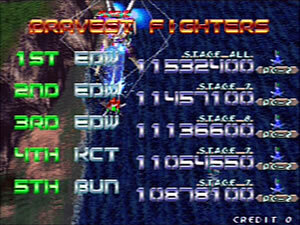 CC definitely, Kenta Cho's, x.x's and Touhou games are very much eligible, I'd say. 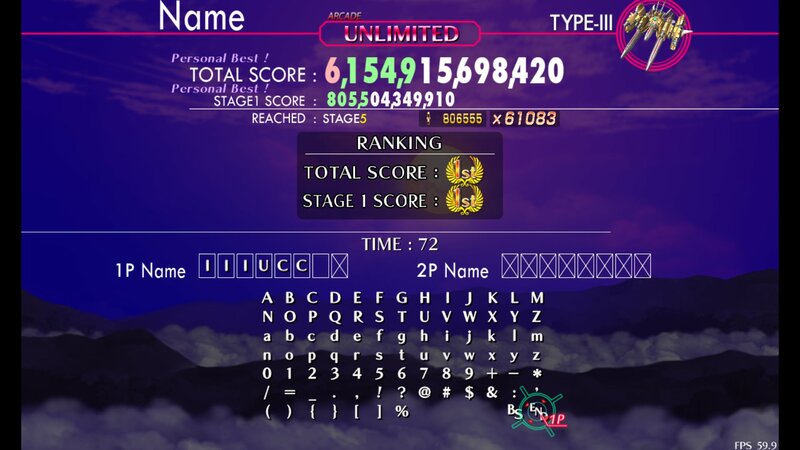 For Touhou, the records are well documented (Western scores here and on the MotK boards, world records here). Last edited by saucykobold on Fri Sep 30, 2011 7:48 pm, edited 2 times in total. 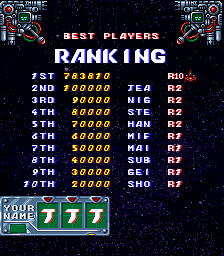 Where is the title 'Blazing Star'? 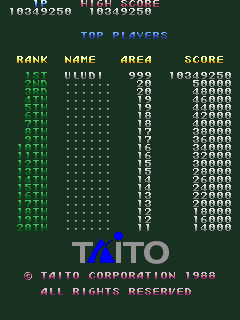 I dont know what region DEL`s score is for Sky Soldiers so I left it as-is. 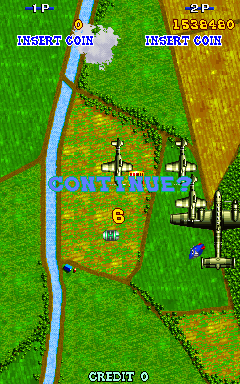 How should I list the Toaplan counter-stops? 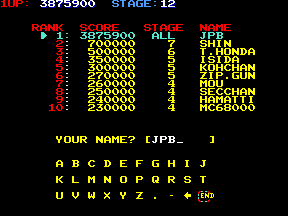 10.000.000 seems to be the cut-off point, but should I also list a players name? Still on the fence about console arrange modes and doujins. How about only doujins that had a disc release? 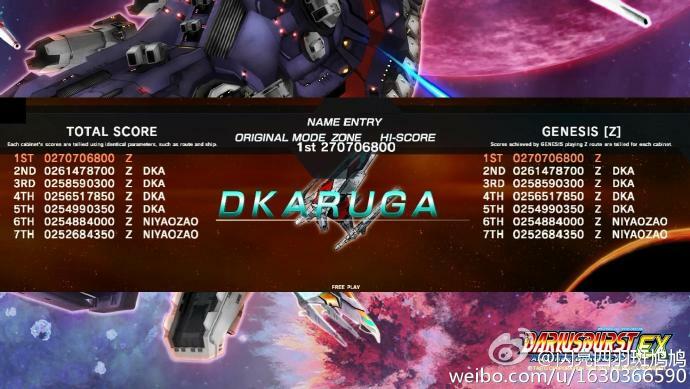 After holding the top spot since the game came out, HUU`s DFK Ura score finally gets beaten. Congrats, Erppo! How about only doujins that had a disc release? 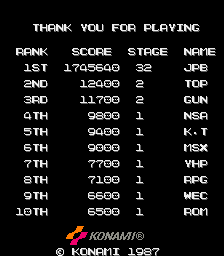 I think for now (at least until I'm done listing arcade titles) I'm going to hold off on other platforms. 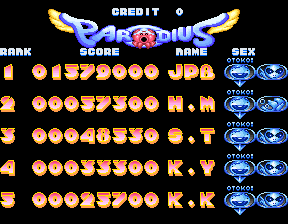 If I add disc-release doujins, that probably means I have to add console games and arrange modes and we're getting kind of bloated at that point. I dunno. Not hearing a lot of support for doujins. I've got two yays and two nays so far. Still on the fence about console arrange modes and doujins. I'd be down for that idea. 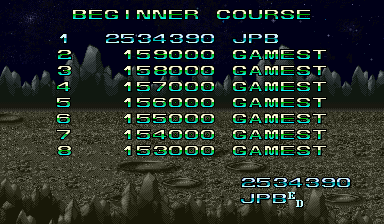 Honestly, I think if NTSC-J started managing more than what you have now, he'd be on overload. Maybe we could nominate someone else to do arrange modes and doujins. Actually, I might be down for it. Sound's kind of fun. 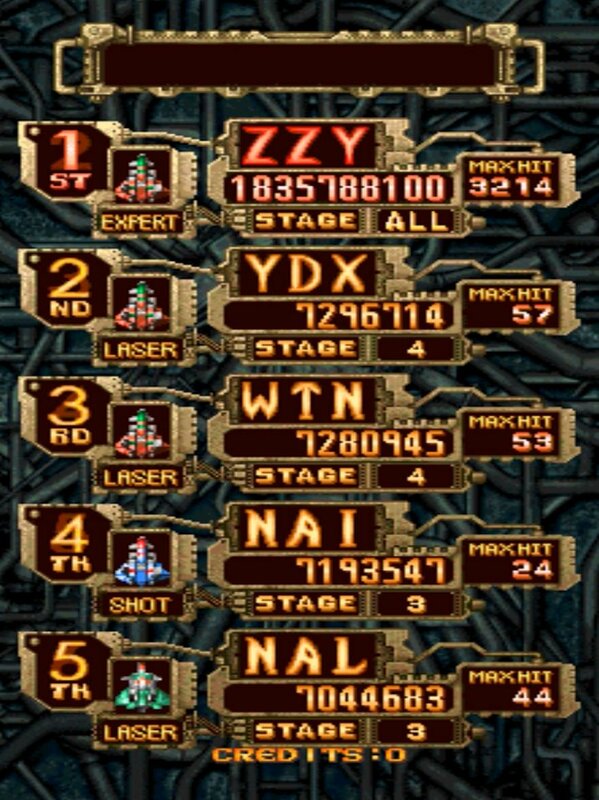 I think it would make sense for Mars Matrix for example since the arcade version counterstops and all those scores are counterstops which are uh.. strange to compare. 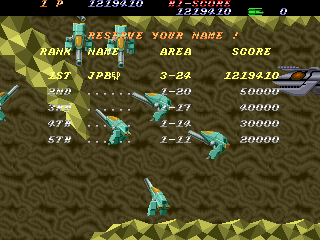 And radiant silvergun, wasn't the arcade version actually made from the saturn version(the whole game in a way)? Adding "bigger" doujins (Crimzon Clover, ABA Games, Touhou) should be fine. If you decide to make separate threads for various categories, it might be better if you wait to reach the character limit. Even better, couldn't someone just merge new posts under the first post? "Large" it may become, but definitely not "bloated". 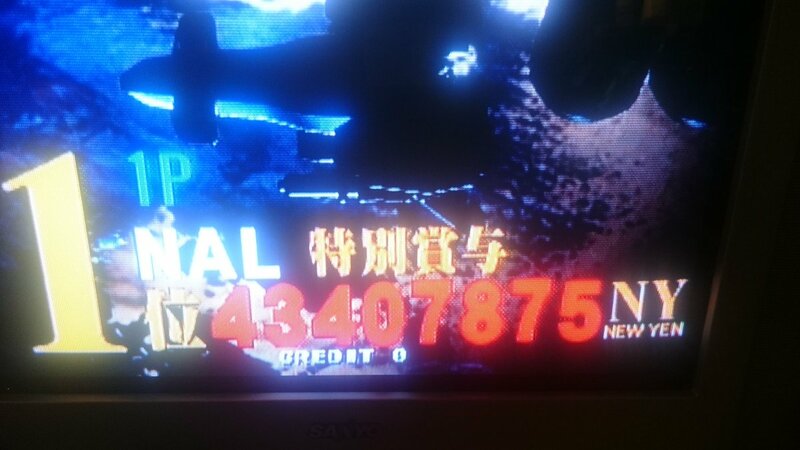 Touhou is overload. 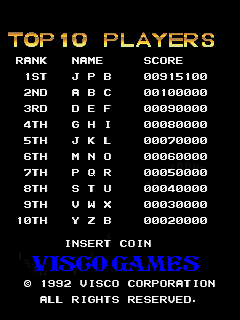 Besides, there already exists a record keeping area for that anyway and NTSC-J can do the same thing as Plasmo which is to include the link in the topic directing people to examine the seperate listings. I think the way Plasmo had and continues to handle it is the way to go forward in the future, especially if it's up to one maintainer again. Touhou isn't any more "overload" than any other company you could list, but of course linking to the Touhou Wiki page is what we should be doing, since it's so well kept as it is. 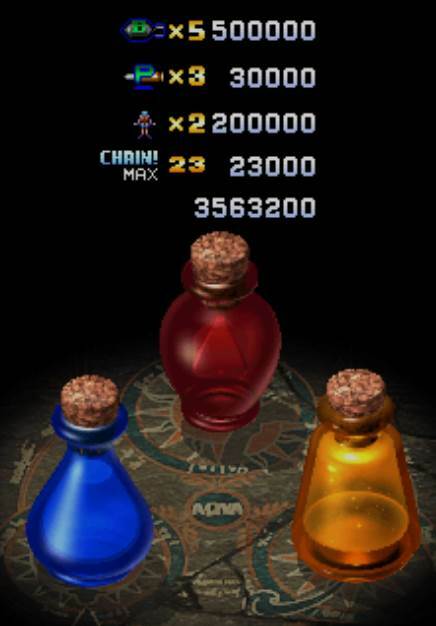 Actually I wanted to suggest it to honor Western Touhou players who don't get much, if at all, recognition on the wiki. I think he should include all the high profile doujins and console arrange modes he can. I mean it's not like he's approaching the character limit or anything. Yeah, it's only 16 pages long (first post length) already with about 14,000 characters, what's another few pages/thousand more characters, right? The TH entry if taken from the above link adds 251 additional entries if each difficulty and character is to be included. If that's not overkill then I have no idea what the benchmark is, 2500 perhaps is too much? 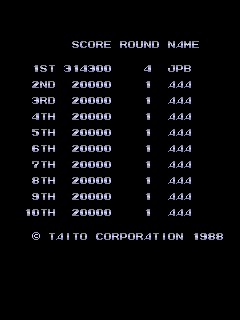 Of course not all difficulties need be carried over, same for the characters, and even then why bother when there is already such a comprehensive list up. 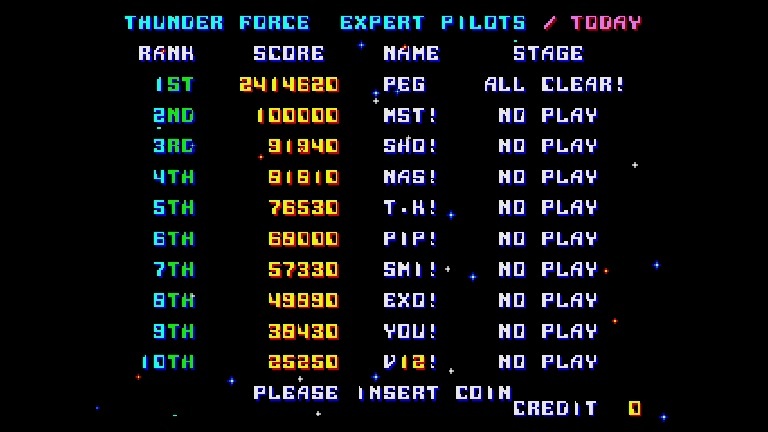 I would say for a given pc game or console arrange mode, if the world record and known western records can be provided then it has merit in being potentially included, if not - next! 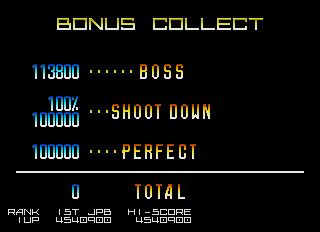 Didn't upload it to MARP as I used autofire. 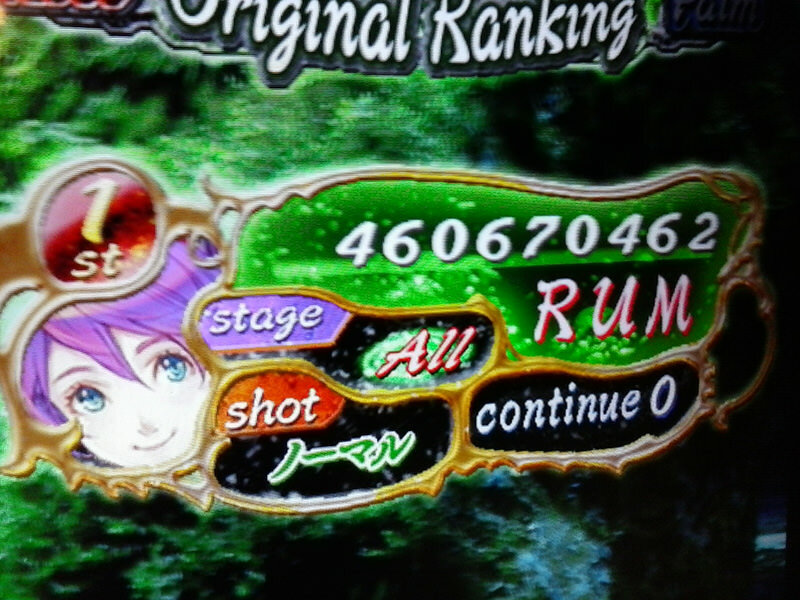 Score is from 5 years ago, when I thought I'd try to counter stop and then moved onto other things instead. Last edited by Smraedis on Sat Oct 01, 2011 9:01 pm, edited 1 time in total. 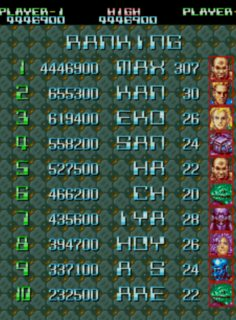 The TH entry if taken from the above link adds 251 additional entries if each difficulty and character is to be included. 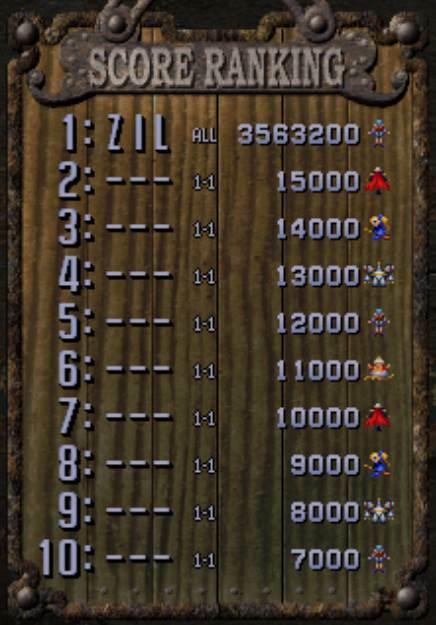 Um, if he doesn't include all character entries for games like DFK, why would he include all characters here? This logic doesn't make sense. 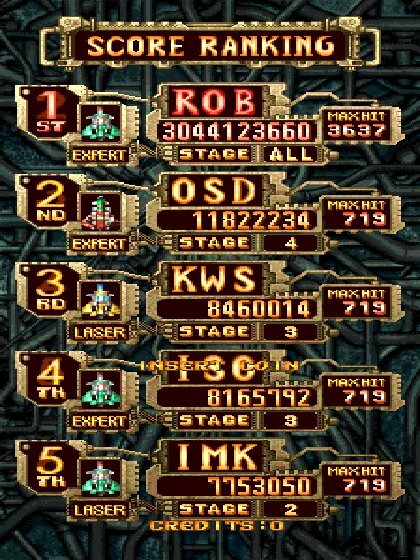 I think that you should list (only) Lunatic and Extra scores.